Whenever I have a customer call and say that their pond is loosing water, there is a process of elimination I try to walk them through. First of all it needs to be understood that an average pond with a waterfall can use up to an inch of water per day to evaporation alone. Living here in southern California during a really hot heat wave the loss can be even greater. First check for wet spots around the edges of the pond and waterfall. This is the biggest indicator of a leak which some people do not think to check first. If you do not see anything obvious then you start with the first test to try and locate a pond leak is. If you have a waterfall, you will want to turn the waterfall off. 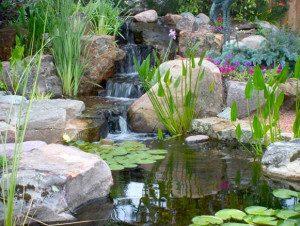 If the waterfall is the only means of oxygen to the pond, you will want to put a temporary pump in the pond to provide oxygen for the fish and plants. So now with the waterfall off, you can let the pond go for a few days and see how much water the pond looses per day versus with the waterfall running. If you do not notice any water loss, then it is a fairly safe bet that the pond is leaking somewhere in the waterfall. If you feel that the leak is in the waterfall, here are some of the areas where I would start to look. Check around the rocks edge. Sometimes the rocks will get shifted around and water will find its way over the liner. Look around the plants. Sometimes their roots will grow over the liner causing excess water loss and also check where the liner connects to the spillway, if you have one. At times plant roots will get in between the liner and the bolts that connect the spillway to the liner causing water loss. It is also always possible that the waterfall is leaking where the waterfall meets the edge of the pond. Some pond contractors will use two liners in a pond build and this can lead to water loss at the seam location. If the waterfall is not leaking, now it is time to look at the pond area. First leave the waterfall off if possible, leave the temporary pump in the pond for oxygen, and leave the pond alone for a few days. If you get lucky the pond water level will stop at the location of the leak. If the pond water level just keeps going down, you might want to put the fish in a temporary container so that you can see how low the water level will go. With a pond liner pond some of the more common areas that a pond will leak are around the bolts that connect the rubber liner to the skimmer, plants pushing over the liner causing water loss, a tree root puncturing through the liner or possibly the liner is just really old and it is just cracking causing leaks. 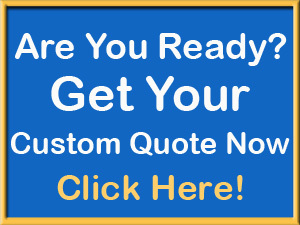 Once the pond leak is found, it is just a matter of prepping the area and patching the hole similar to the way you would patch a hole in a bicycle tire. 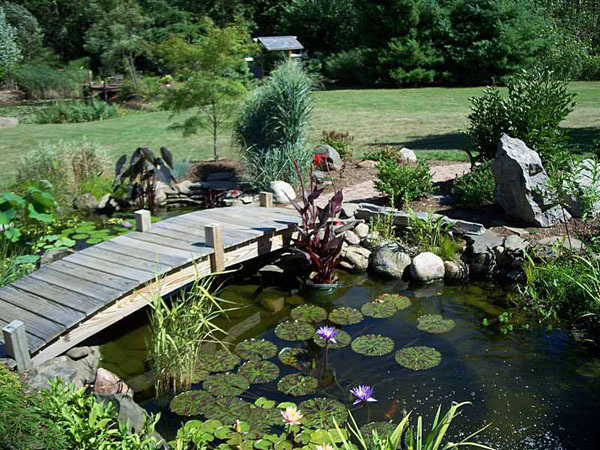 The products needed to make this repair can be found at your local pond supply store. If you have a concrete pond the most common reason for water loss is due to cracks in the concrete. This can be due to poor or old concrete, tree roots penetrating the concrete or earth movement. To take care of this, We apply a waterproofing water sealer over the cleaned concrete. In some cases new concrete must be poured or a pond liner can be installed over the existing concrete pond.